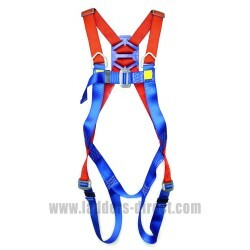 Clow CEP81 Full Body Safety Harness.. The Clow CEP81 Multi-Purpose Safety Harness features five attachment points and is fully compatible with European Standards EN361, EN358 and EN813. 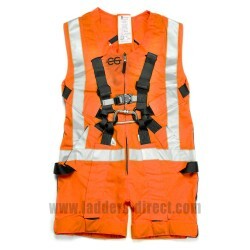 This Safety Harness is also available with the fully compatible EN471 removable orange and yellow hi-visibility vests. 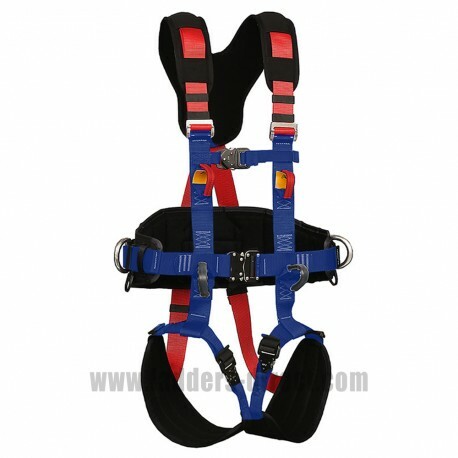 The Clow CEP81 Multi-Purpose Harness features five attachment points, (four points front, one point back), a work positioning belt, adjustable thigh and shoulder straps, adjustable chest strap, a soft contoured cushion belt and cushioned shoulder and leg belts. 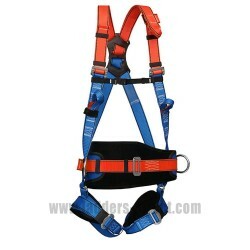 This safety harness is constructed with strong 45mm width nylon and polyester polyamide webbing, polyester threads and semi-automatic aluminium buckles. 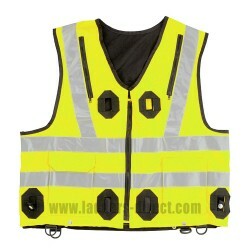 This harness is also available with fully compatible EN471 removable orange and yellow hi-visibility vests. 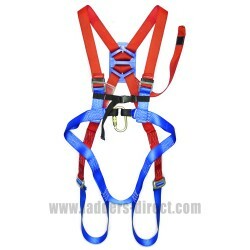 This higher spec fall arrest harness includes a sit harness that provides a comfortable position for the user to work in thereby allowing them to work longer and easier than would be possible with a standard harness.